Now that I’m sadly caught up with The Chronicles of St Mary’s series, here are the June new releases I’m planning on getting – it’s a short list, but there are some good ones. SUMMER DAYS, SUMMER NIGHTS, edited by Stephanie Perkins (YA romance anthology): This sounds like the perfect summer beach read (or for those of us unlikely to make it to beaches in the next few months, the perfect err… summer balcony read?). Some big-name YA authors in this anthology, including Leigh Bardugo (loved her SIX OF CROWS) and obviously Perkins herself. Nalini Singh’s ALLEGIANCE OF HONOUR (paranormal romance): I think Nalini Singh’s referred to this one as an “ensemble book”, and it’s meant to wrap up the current series arc? I’m looking forward to catching up with the usual suspects here. Naomi Novik’s LEAGUE OF DRAGONS (historical fantasy): The final book in the Temeraire series! If I’m honest, I think this series jumped the shark a while ago – the recent books have felt more like historical travelogues than anything else – but I’m obviously going to read the final book to see how the story’s wrapped up. Napoleon’s invasion of Russia has been roundly thwarted. But even as Capt. William Laurence and the dragon Temeraire pursue the retreating enemy through an unforgiving winter, Napoleon is raising a new force, and he’ll soon have enough men and dragons to resume the offensive. While the emperor regroups, the allies have an opportunity to strike first and defeat him once and for all – if internal struggles and petty squabbles don’t tear them apart. Aware of his weakened position, Napoleon has promised the dragons of every country – and the ferals, loyal only to themselves – vast new rights and powers if they fight under his banner. It is an offer eagerly embraced from Asia to Africa – and even by England, whose dragons have long rankled at their disrespectful treatment. But Laurence and his faithful dragon soon discover that the wily Napoleon has one more gambit at the ready – one that that may win him the war, and the world. Eloisa James’ A GENTLEMAN NEVER TELLS (historical romance): I feel like Eloisa James has been experimenting with several formats recently and this one is a novellette set in the world of her Essex Sisters series. 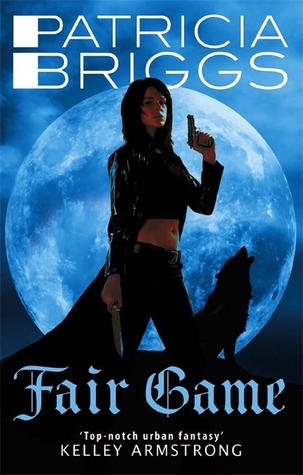 I remember posting about this series way back when I first started blogging – I’ve just looked up that post, and I’m both cringing and laughing at my enthusiastic review of the books. I’ve debated whether to link it, but why not – here’s my take on the Essex Sisters series (I am so tempted to edit that post, but have restrained – you get the warts and all version!). Eighteen months ago, Lizzie Troutt’s husband died in his mistress’s bed, leaving her determined to never marry again . . . and unfortunately virginal. Until he breaks all the codes of gentlemanly behaviour . . . once again. Any big June releases that I’ve missed? Sometimes all you need is a really good book to get you out of a reading slump. I’ve been seeing mentions of Naomi Novik‘s new fantasy release around the blogosphere, but wasn’t that interested because I haven’t been that convinced by the more recent installations of her Temeraire series and wasn’t sure if UPROOTED would be worth the hardcover price. But I just so happened to be in a bookstore the other weekend, and they had UPROOTED on their display stands. The cover caught my attention (I admit to an unashamed bias towards the UK cover) and so I flipped it over and read the back cover blurbs. Guess what sold me? So – I’m a sucker for pretty covers and blurbs from my favourite authors… sounds about right. I’ve been caught out before, but this time around, both were reliable predictors of a really good read. 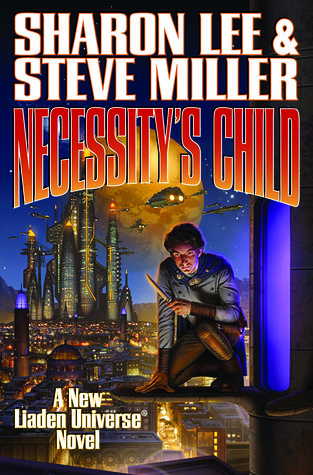 This was basically one of those books I gulped down, staying up very late to finish “just one more chapter…”. Naomi Novik’s UPROOTED is that rare thing in today’s fantasy – a wonderful standalone novel that leaves you completely satisfied at the last page. The story drew me in from the first, right from the point the Dragon made his surprising choice, and I was enthralled all the way to the end. Novik manages to make UPROOTED feel familiar and yet unfamiliar at the same time. It was familiar enough that I had enough of an inkling as to how Agnieska’s story would unfold, but the various twists and turns – both in terms of plot and characterisation – kept this from being a tale I’ve read before. The final reveal and eventual resolution managed to be both unexpected yet logical, tying together all the various hints dropped throughout. I so appreciated the strong female characters in this book here, and loved the strong friendship between Agnieska and Kasia. It’d have been so easy to set up Kasia and Agnieska to be on opposing sides and to paint Kasia in an unflattering light – I’m glad Novik didn’t choose that route. Also, the Dragon – I don’t want to spoil too much, but I enjoyed seeing Agnieska’s perception of him evolve throughout the book as he moves from being the all-powerful Dragon to, well, still a very powerful magician, but also a human being. Only niggling negative for me is the body count – let’s just say the numbers climb quite a bit. Most happen (slightly) off-page to be fair, and create this atmosphere of ever-higher stakes as things reach a climax. This contributed towards the fairytale-like aspects of the book for me – I always feel that fairytales have this veneer of pretty glossiness over some very scary and grim bits. 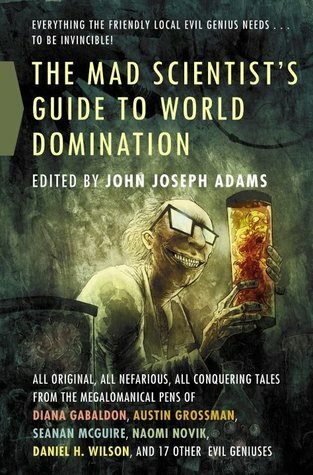 But this is probably one of the very few books where I’ve paid full retail price for a while (and hardcover prices at that), and I don’t regret that one bit. UPROOTED is a really lovely fantasy, and without a doubt, one of my favourite books this year. 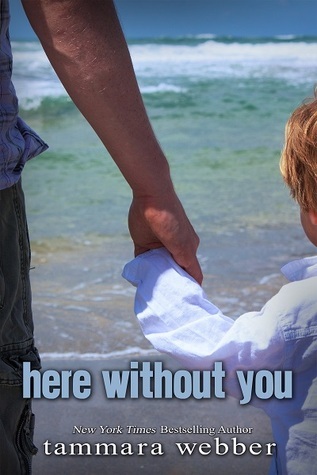 Tammara Webber‘s HERE WITHOUT YOU (NA romance): The first book in Tammara Webber’s Between The Lines series ended up being one of my favourite reads of 2012, and I promptly glommed the next two towards the end of last year. 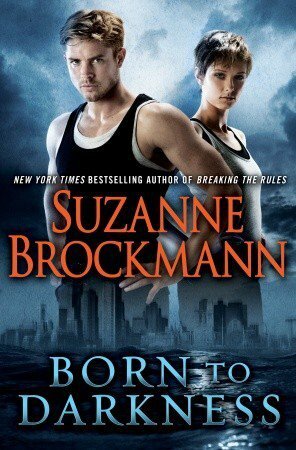 So it feels like quite a while since I’ve last had my BTL fix – I’m very much looking forward to this final book in the series. 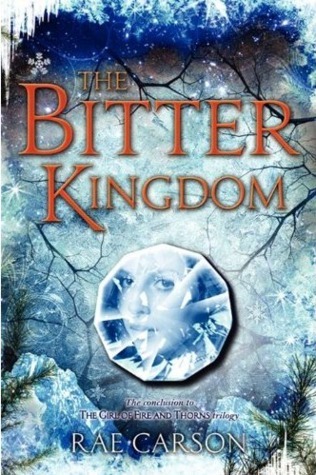 Rae Carson‘s THE BITTER KINGDOM (YA fantasy): I didn’t love the first book, but the second intrigued me enough that I’ll probably spring for the third (I borrowed the first two from my trusty local library). Judging by the early reviews of THE BITTER KINGDOM, this trilogy may be ending on a high. On a side note, I have to say that the UK cover is excellent, IMO. 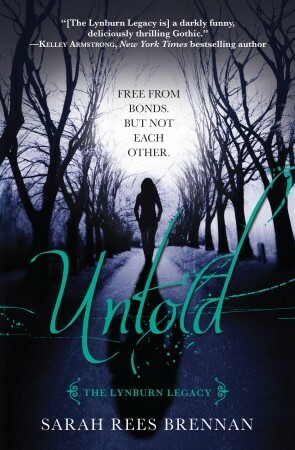 Sarah Rees Brennan‘s UNTOLD (YA urban fantasy): I’m not a fan of the change in cover design (I loved the original UNSPOKEN cover, and the revised covers scream generic UF to me), but if it helps these books sell better…*shrugs* I liked a lot about UNSPOKEN, and I’m hoping UNTOLD delivers. 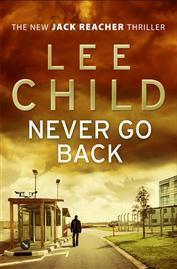 Lee Child‘s NEVER GO BACK (suspense): I’m a Jack Reacher fan, even if I’ve found the recent installments growing more formulaic and violence-heavy. Intriguing blurb. 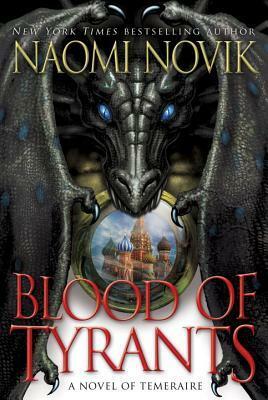 Naomi Novik‘s BLOOD OF TYRANTS (fantasy): This is the penultimate book in the Temeraire series according to Goodreads. 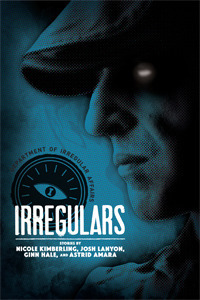 I do think it’s time this series is wrapped up – it’s starting to feel a bit unwieldy and rambling in places – but I’ll still probably get around to reading it soon. For to the west, another, wider conflagration looms. Napoleon has turned on his former ally, the emperor Alexander of Russia, and is even now leading the largest army the world has ever seen to add that country to his list of conquests. 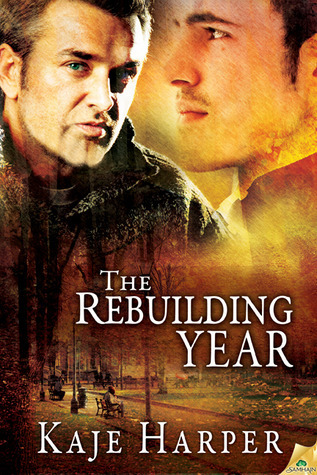 It is there, outside the gates of Moscow, that a reunited Laurence and Temeraire—along with some unexpected allies and old friends—will face their ultimate challenge…and learn whether or not there are stronger ties than memory. 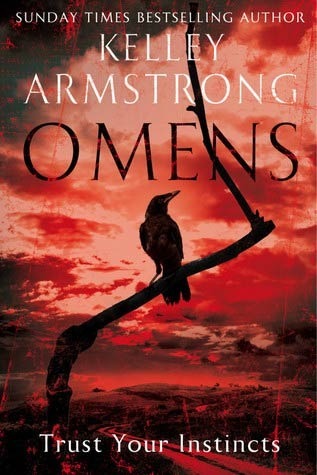 Kelley Armstrong‘s OMENS (UF): I can’t be the only one pleased that Kelley Armstrong is starting a new series. I’ve skipped her newer MG/YA books, but I’ve high hopes for this one. I am on a bit of a Kelly Hunter glom. I’m not sure what’s happened – I’ve suddenly doubled the number of M&Bs I’ve read in a year within a fortnight (though to be fair, it was a rather low number to start off with). 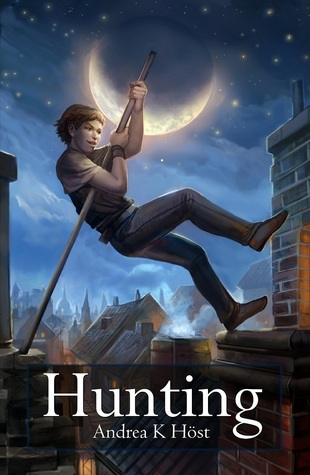 I’ve loved all three of Ms Hunter’s Bennett Family series that I’ve read so far – she pulls off very convincing romances, combined with dialogue that makes me laugh and some crazy chemistry between the hero and the heroine. And she puts her own spin on tried-and-tested tropes, making them feel fresh and new to me – and that’s no easy thing, bearing in mind the number of M&Bs I’ve read over the years. 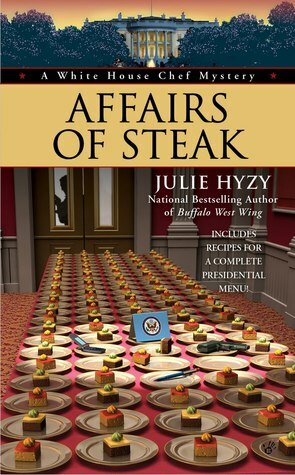 The first book is WIFE FOR A WEEK if any of you are interested – there were passages that made me smile right from the start and the eventual reveal appealed to my sense of the ridiculous. There’s no obvious sequel-bait in these books, but I’m liking the sibling relationship between the four brothers and one sister and am looking forward to finishing the series. I’m just annoyed because I can’t download the remaining two Bennett books I bought from the Mills & Boon UK website. Grrrr. I’ve emailed their customer services and hopefully will get a response tomorrow, though I’m very tempted to ask for a refund and repurchase from Amazon instead. Yes, that’s how much I want to read them. Anyway, apart from my glom, I’ve been browsing the internets. Did you know Naomi Novik has a redesigned website? 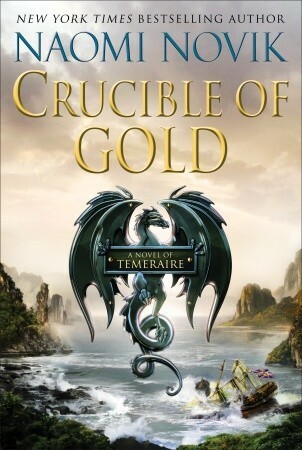 And a cover for the next Temeraire book (CRUCIBLE OF GOLD out March 2012)? And there’s a prologue? And then there’s a couple of ebook-only releases. 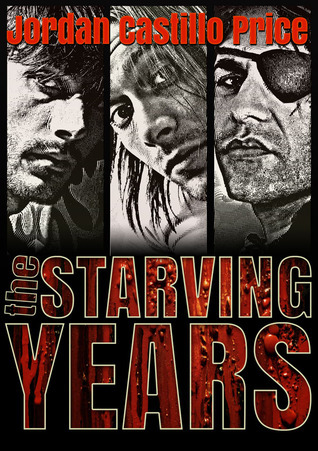 I think 2011 is the year the ebook finally went mainstream. 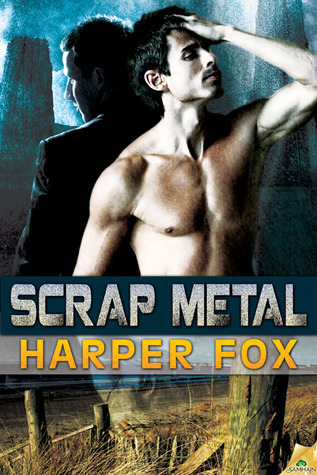 Tracy Grant‘s re-released one of her backlist books. DARK ANGEL’s an historical romance – I’ve only read her current series, which is more historical mystery/suspense, so it’ll be interesting to see if it’s very different. And Tanya Huff‘s released a collection of short stories. I’ve bought NIGHTS OF THE ROUND TABLE & OTHER STORIES off Amazon UK, so I’m assuming it’s now available widely.